The Greeks recognized its value. Scheherazade confirmed it was life-saving. Shakespeare employed it regularly onstage. The Grimm Brothers had it nailed to timeless perfection. Yep, there’s no underestimating the power of a compelling story to instantly engage a reader/listener as well as entertain, educate, and inspire them. How often, for instance, has your attention been hooked by a total stranger’s social media post that starts out, “When my great, great grandfather left Italy with only a trunk full of broken spoons…” Well, you just can’t help but read the whole thing because your curiosity has been tweaked. In only a few words you’ve been invited into another person’s memory banks. By the time you’ve finished the story, you not only feel as if you know them but – more importantly – discover that such investment of your attention might even correlate to a sense of trust and a desire to hear more. For a small business owner seeking to attract customers, a tale well told can be a future sale in the making. 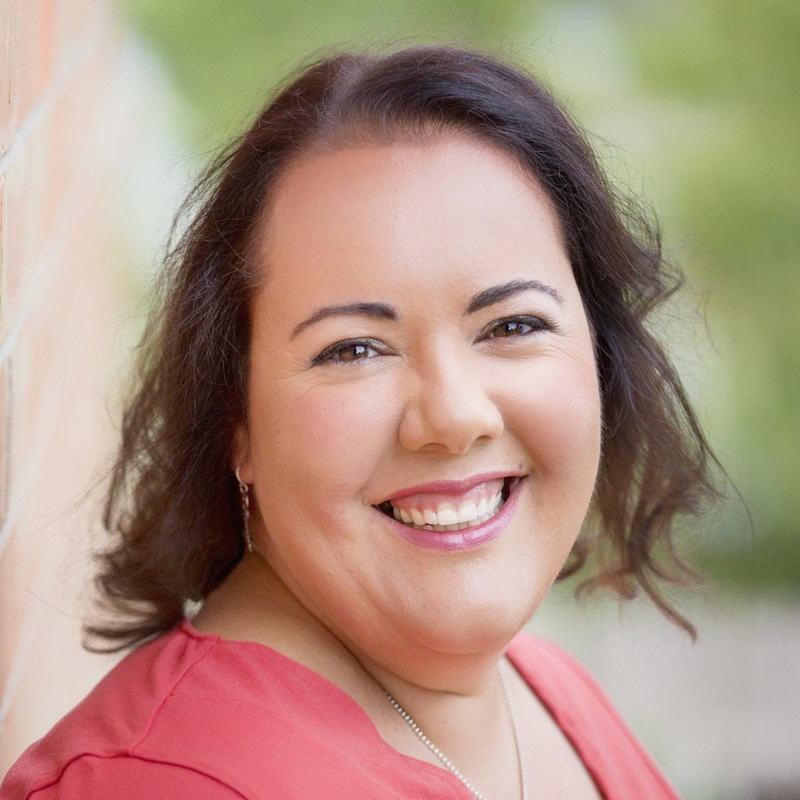 Just ask Johanna Baker-Dowdell, founder and owner of Strawberry Communications (Launceston, Tasmania), who encourages her clients to creatively share their expertise, products and services in a way that will effectively resonate with prospective customers and the media. Q: You’ve been in the business of journalism and PR for over 18 years. Who or what was the spark that ignited your attraction to you to this field? A: I wanted to be a journalist since I was seven. I remember chatting with my grandfather as he watched the evening news about how newsreaders told people what was happening every day and he said he thought I could do that. And I agreed. I studied journalism and PR at university and was offered a journalism cadetship with News Limited when I was 22. I’ve been writing about what is happening ever since. Q: What was the “Aha!” moment that made you realize you wanted to start your own agency? A: My “aha” moment came when I was at a networking event for business women and it dawned on my that the freelancing I had been doing from home since before my first son was born was a business. I drove home via the Department of Fair Trading and registered my business name, Strawberry Communications, then and there. Q: Any special significance to “strawberry”? A: Strawberries are my favourite fruit, but my mum tells me a very ripe strawberry in our garden was what made me crawl so it seems I’ve always been drawn to them. Q: Launching any commercial enterprise from scratch not only takes a lot of chutzpah but also a well constructed marketing plan to get the word out you’re open for business. In retrospect, what were some of the most successful strategies you employed in your start-up operations? A: Looking back now I can say utilising my existing networks and growing new networks were the key drivers to my early success in business. My first clients for freelance journalist were friends I’d made in the industry and then this led to work with friends of friends. I started blogging in 2006 and jumped on to Facebook and Twitter very early on so I found some great business contacts who were both local to me and all over the world. These people were friends, masterminds and sounding boards, all of which is important when you’re first starting out (and especially when the only other human I got to speak to through the day was either crying or gurgling!). Q: How has Strawberry Communications kept abreast of industry trends and evolved over the years? A: I’ve watched a lot change in journalism and public relations as the Internet and the way we communicate has evolved. Being a solo business owner has meant I had the flexibility to test trends without too much upheaval if things didn’t go well. And if they worked (like social media) then I could be at the front of the line. Q: Where do you see that growth taking you in the future? A: I don’t envisage the agency will grow physically, but I may consider adding extra contractors (I currently have two) to help me on big projects. I like the flexibility of working from home while my children are young, but I would like to take on meatier projects down the track. I’m currently studying a PhD in journalism and running this business so hopefully new opportunities will present themselves once I graduate. Q: Who are your typical clients and what types of services and support do you provide for them? A: My typical clients are small and micro businesses, who know they have something good to share but are not sure how to do it. I help them tell their business story through media releases, articles, web copy, social media and give them the tools to speak with their targets markets. Q: Here in the U.S. with its particularly wobbly economy, new business owners often believe that instead of hiring a PR professional to develop their marketing materials, write press releases, and create brochures, they’ll simply do everything in-house. How might this ultimately end up costing them more than what they thought they were saving? A: The thing about a PR professional is that they have usually been doing it for a long time so have existing relationships with the media, are quicker than someone doing it in-house and know how to pitch an idea in a way that is interesting to a journalist. If you can’t afford a PR professional to run an entire campaign, you can usually outsource some of the key ingredients, like a media release or a targeted media list, and then handle to the rest yourself. Q: How and why is storytelling a critical component of your business model? A: Right from birth (and maybe before) we are programmed to respond favourably to stories. We all know a story is coming next when we hear the words, “Once upon a time…” and because of this we respond when someone tells the story behind a business, an event or a product. We like to know what happened behind the scenes, whether someone overcame adversity or whether something was developed as a result of something else not working the way it was supposed to. The way in which we connect to that story is why storytelling is so important. If people form an emotional attachment to your business then they will want to know more. Q: The marriage of journalism and public relations under one roof is a lovely one but I’m also sure it’s not without its challenges. How do you balance this dynamic combination? A: It is challenging at times because I can be wearing two different hats on any given day and sometimes in the same situation, but the way I see it journalism and public relations are two sides of the same coin. One is about telling people what is happening and the other is crafting the message you want people to hear. Boiled down to their essence both are storytelling and that’s why they work together for me. A: While not strictly a business win, a significant success for me has been the process of writing and publishing Business & Baby on Board. A win associated with it was running a successful crowdfunding campaign to publish the book and also finding a publisher as a result of the campaign. The campaign grew my network, found eager readers and put me in front of a publisher. Q: As a kindred spirit, I draw a lot of energy from the eclectic trappings of my home office. Describe your own workspace for us so we can picture you working there. A: I work from an office at the back of my home and share the space with my horticulturalist husband, although he is hardly ever in the office. My desks contain my computer, a few in-trays for the different areas of work I do, lots of notepads and a monthly planner pad (that I usually use for notes rather than planning). I also have a bookcase full of business books, magazines and stationery and the walls are decorated with an (untouched) annual planner and a calligraphy work about the alphabet – the pillars of my existence. Our black Labrador/Kelpie Bastille and at least one of our cats often accompany me in the office. Q: Back in the days I wrote for the local press and did feature stories about a diverse spectrum of business owners, the first thing I always asked prior to scheduling an interview was whether they had a media kit they could send me. The response from 9 out of 10 was always, “I don’t really need one. I can just tell you everything about the company when you show up.” Why is this a flawed logic to embrace? A: A journalist is always looking for the story nobody else has, so if you just tell them what you tell everybody else, they will only be able to write/publish what everybody else does. If you send them a media kit beforehand you’re giving them information to research you and your business, but also the opportunity to work out the areas where they want to find out more. It is in this space that the real stories come out. Q: Among your many talents as a savvy wordsmith, blogger, media launch coordinator and social media expert, you also teach an online course called “Make Me a Star!” Tell us about it? A: While it is great to have a PR consultant to tell your business story for you, it can be an expense out of the reach for many small businesses. I developed a six-week online program called Make Me a Star! which takes small business owners through all the steps necessary to set up their PR collateral and make a big splash in the media. After all, nobody is more passionate about a business than the owner, so sometimes the best one to tell that story is the person who had the idea and built the business from scratch. A: Nothing gives me more of a buzz than being able to spread the word about a client’s business that I really believe in. I love it when my words and PR strategies hit the mark and tell those stories that show both the power and vulnerability behind the client so their customers connect with them on a different level. Q: And how about your life outside the office – what are you the most passionate about? A: I’m a creative being and so I love writing for fun (I’ve been trying on fiction in short stories and flash fiction for size recently), reading and baking sweet treats. I also love exploring where I live and further afield through travel so I can experience new places and people. Q; You’re currently involved in fundraising for the National Breast Cancer Foundation (NBCF). Tell us about it as well as your trek to Peru. A: NBCF Australia aims to reduce deaths from breast cancer to zero by 2030 by researching this form of cancer and its causes. I am part of a group that is fundraising for NBCF by trekking in Peru this November. We have been holding events to boost awareness of the campaign and the NBCF’s efforts and raising money online via Everyday Hero (see link for more info: https://trektowardsacureperu2015.everydayhero.com/au/annalisa-joh-s-trek-towards-a-cure). I have always wanted to go to Peru, so when my friend Annalisa, who has had a double mastectomy, told me about the fundraising trip I thought it was the perfect way to see the country, raise money for fantastic cause and support my friend. A: Five years ago my cat bumped a candlestick holder onto my head, which caused a brain injury. I couldn’t speak or walk properly for weeks and it took me months to be able to write again. The lasting effects are that I’m useless at remembering names and have occasional post-traumatic migraines now. This event made me much more willing to take risks and try something new, because you never know what will happen. Q: Where can they learn more about Strawberry Communications? A: I’d love to connect with readers on Twitter (@JohannaBD), Facebook (StrawberryCommunications) or many other social media platforms.